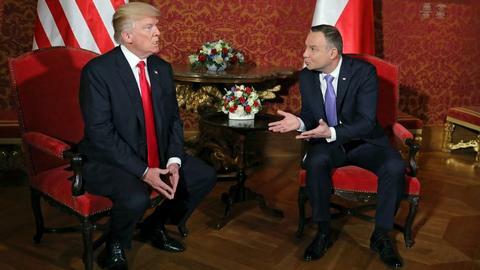 Has the Warsaw 'Iran' summit already fizzled out? 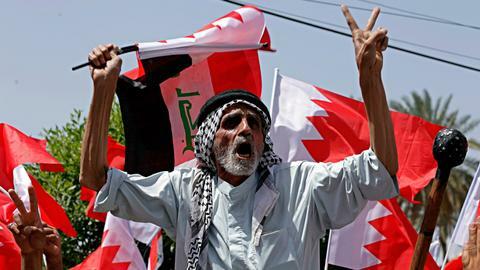 Will tensions between Bahrain and Iraq trigger a wider political crisis? The Horn of Africa appears to be geared towards a new order set off by global competition over strategic interests. The Horn of Africa appears to be gearing towards a new order set off by a global competition of strategic interest by great powers in Africa. In addition to internal political upheavals, the competition is precipitated by a struggle for influence in the region by the US and China. There is also a realignment taking place by European and Middle Eastern powers who have strategic economic, political and military interests in the region. The US has been a vocal critic of China's incursions in the Horn of Africa, especially in Djibouti, long perceived as an American zone of influence. 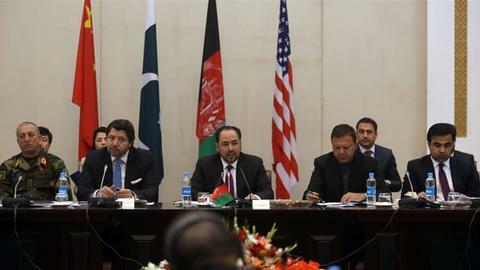 The undercurrent for these changes is mainly an outcome of what could be characterised as a shift of focus from the ‘War on Terror’ to strategic competition between global powers. Since the end of the Cold War, and particularly the rise of terrorism since 9/11, the ‘War on Terror’ has driven US alliances, including those in the Horn of Africa. But at present, the US is forging alliances with Middle Eastern players and African nations to support its antagonistic competition with China and Russia. The Red Sea maritime domain is a preeminent theatre of this great power struggle and the rivalry of regional players include the European Union, Turkey, GCC countries, Israel and Iran. 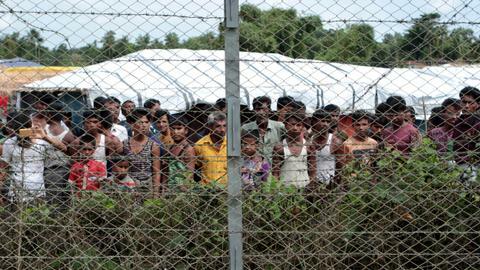 The US policy shift is compounded by other factors: the European migration crisis and its effort to stem migration from the countries of origin; the Yemeni proxy war between UAE-led bloc and Iran; and the competition within the GCC — all of which are in play. There are examples of the consequences of the change of US National Security priority. Djibouti, located in the vicinity of Somalia and Eritrea, has allowed China to build a military base on its territory. As AFRICOM Commanders did before, and Ambassador Bolton pointed out, China’s military presence could threaten the Red Sea route. Furthermore, if China’s plan to win a tender for control of a key port in Djibouti succeeds, supply routes to the US base and mobility of US Navy ships would be under China's control. As a consequence, US officials have called for the establishment of a US military camp in Eritrea as an alternate or in addition to the one in Djibouti. In an effort ‘to bring Eritrea in from the cold’, the Department of State successfully mobilised various actors, including the anti-Qatar GCC countries led by the UAE and the evangelicals with the full support of some senators. UAE is leading the competition between Middle Eastern countries to control the Red Sea maritime domain and ports. So far, the UAE has been able to secure contracts with Assab (Eritrea), Berbera (Somaliland), and Aden (Yemen). They have established a military base in Eritrea with the potential to be used by Egyptian forces. Ethiopia strongly opposed the move by the UAE until its change of government in April 2018. Eritrea is now America’s new ally in the Red Sea and has signed a peace agreement with Ethiopia, and a cooperation agreement with Somalia. The competition between Middle Eastern countries and the resulting rift within the GCC has to be seen in light of President Barack Obama’s doctrine of ‘leading from behind’ that left the Middle East to fend for their own peace and security challenges. The strategy created a leadership vacuum, and to fill this vacuum, a power struggle emerged between the GCC countries. It led to the Yemeni war and a rift within the GCC. The theories about the rift within the GCC are all too familiar. For the UAE-bloc, Qatar is reportedly a state sponsor of terrorism and thus needs to be reprimanded and if necessary its leadership toppled. Saudi Arabia is not subject to similar accusations of having abetted terrorist organisations. But the more precise reasons for the GCC rift reside somewhere else. The first reason is the independent-minded Qatari leadership. Furthermore, elements in Qatar such as Al Jazeera, or the country’s ties to the Muslim Brotherhood threaten the UAE-camp. The UAE, with the strong support of Egypt and Israel, is squeezing Qatar, which enjoys strong support from Turkey and tacit support from Iran. Oman and Kuwait remain neutral, with the latter trying to mediate. Other significant players include Israel, Egypt, Iran and Turkey, the latter two being major actors. Iran and Turkey are both key participants in any Middle Eastern geopolitical and geo-economic calculations. The UAE-bloc competes against Qatar’s increasing global influence, particularly in Sudan, Somalia, Eritrea and Egypt among other areas. The UAE also aspires to serve as a manufacturing hub and dominate the maritime domain, particularly the ports in the Red Sea. It aims to purchase agricultural products from Africa and the rest of the world, then process, package and sell such products internationally. Qatar is a small country with a big diplomatic role in the Horn of Africa. Qatar has played an even more prominent mediating role in Darfur, Djibouti and Ethiopia, and has given direct support to state and non-state actors in Somalia, Sudan, South Sudan, Eritrea and Ethiopia. Diplomatic relations between the GCC and the Horn of Africa have always been characterised by ‘mutual distrust’. The establishment of the UAE naval and air force bases has exacerbated the distrust even more. The Red Sea and the Nile River play critical roles in the relations between the Arab world and the Horn of Africa. But above all, with President Trump’s support towards the UAE-camp, they now have the upper hand. During the GCC rift, Djibouti, Eritrea and Somaliland announced their unequivocal support for the Saudi-camp against Qatar right off the bat. Cordial relations between Eritrea and Qatar turned sour. The withdrawal of Qatar’s observers from the Djibouti-Eritrea border then became inevitable. 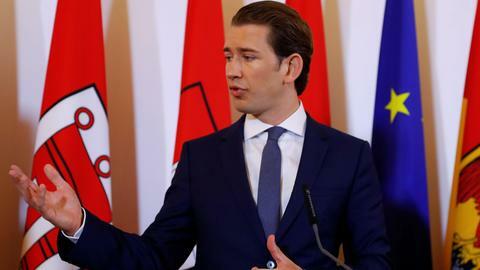 Facing internal upheaval and change, partly due to US support to the UAE-bloc, some countries that took a neutral stance have now joined the UAE camp. Inconsistent with its previous position of neutrality, Ethiopia seems to have changed its neutral stance in support of the UAE-bloc. In addition to the rift within the GCC, the so-called ‘migrant crisis’ in Europe brought accelerated changes to diplomatic alliances in the Horn of Africa. In a bid to stem the flow of refugees from the region, including from Eritrea, the EU, in crisis mode, embarked upon a policy of rapprochement with Eritrea and Sudan. In contrast, these changes have revived Egypt and its army's role in the Middle East and in the Horn of Africa. 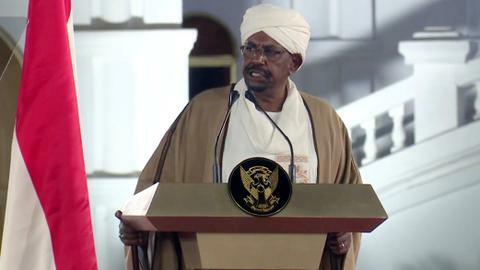 It dominates narratives and negotiations related to the Nile River, and the disputes accompanying it, and has now offered help to the current Sudanese government in the face of widespread protests. Ethiopia’s rulers have now changed and if the ongoing political rumblings in Sudan, South Sudan, Uganda, and Djibouti end up in regime changes, the Horn of Africa will be in the bloody delivery of a new order. Dr Mehari Taddele Maru is a scholar of human rights and migration, peace and security, law and governance, strategy and management issues.